A teardown on Vancouver's west side has been sitting on the market for more than three weeks, an eternity for a desirable listing by the standards of the city's real estate craze. "Great to hold or to rebuild," the feature sheet declares. The modest three-bedroom bungalow on a 33-foot-wide lot with a loft at the back has been listed for $3,070,000. A nearby knockdown on a similar-size lot in the tony Point Grey neighbourhood sold in late October after seven weeks on the market for almost $3-million. The prices seem astronomical, but during the peak of Vancouver's real estate boom in mid-2016, entry-level listings in Point Grey would have garnered instant attention and triggered a bidding war pushing the offers above the asking price, attracting at least $3.1-million even for a rundown property. Now, such properties are unlikely to fetch their asking prices. Vancouver is at no risk of losing its status as Canada's priciest real estate market. But as the end of 2017 nears, the insanity of the city's housing market has calmed considerably. The city has seen a sharp drop in sales volume this year compared with two years ago. Bidding wars are much less frequent, detached houses are sitting on the market longer and the three-month rolling average sales price is $267,540 below the record high of $2,925,411 in May, 2016, or a 9-per-cent decline. All eyes are on Vancouver as a leading indicator of the overall health of the country's real estate market. When the B.C. government slapped a 15-per-cent tax on foreign buyers in the Vancouver region in August, 2016, the market initially tumbled before rebounded rapidly by early 2017. The average price of a detached house sold last month within the City of Vancouver was $3,080,633, virtually identical to the record high of $3,080,907 in April, 2016. Ontario followed with its own foreign-buyers tax in the Toronto region earlier this year, causing prices to sink sharply. Now, 2018 is shaping up to be a year of turbulence for Canada's major housing markets. Across the country, buyers and sellers are holding their breath, waiting to see the impact of new mortgage qualification rules taking effect on Jan. 1, 2018. Canada's banking regulator, the Office of the Superintendent of Financial Institutions, issued new guidelines in October that require buyers who are making a down payment of more than 20 per cent of a home's value to prove they could still afford their mortgage payments based on the greater of the Bank of Canada's five-year benchmark rate, or a rate two percentage points higher than they negotiated. The stress testing aims to stop borrowers from getting too deeply in debt on their house purchases, but it also means many buyers will be kept out of the market because they will only qualify for smaller mortgages. Vancouver real estate agent Bryan Velve said housing statistics miss what he is seeing on the ground, notably increasing instances in which there is a stalemate between buyers and sellers, with many sellers taking their detached properties off the market if they don't get close to the asking price. "People have trouble wrapping their heads around the numbers in Vancouver because the numbers are so huge," Mr. Velve said. "The reality is prices have dropped from the peak, but since homeowners have equity built up, it isn't a desperate situation. Sellers can last a long time without being forced to sell." While detached houses are moving slowly by recent standards, condo sales have been brisk, as buyers favour lower-priced options. It's an understandable choice in a city where detached homes are in the stratosphere and far out of reach for most first-time buyers, highlighting an expanding fault line under Vancouver's market, where detached houses still account for the lion's share of the value of property sales and drive average prices. Policy makers are facing a delicate balance to try to protect affordability for new buyers while also preventing a steep market decline that hurts existing homeowners and harms broader economic growth. The current boom in demand for condos is a reaction to the market's unaffordability, but it isn't a solution to the problem if it simply drives up the price of starter homes to unaffordable levels. Some observers say the lower-priced portion of the market is bound to slow down. Steve Saretsky, an agent who specializes in Vancouver condos, said the market for condos and townhouses won't be able to buck the cooling trend in the detached sector for much longer. The current pace of condo price increases going on is not sustainable," he said, referring to year-over-year price jumps of more than 20 per cent for attached properties. Homes are seen in this aerial photo of a Toronto neighbourhood on Oct. 2, 2017. The events on the West Coast are being closely watched in Toronto, as trends in Canada's second-most expensive housing market follow in Vancouver's footsteps. After the Ontario government announced its 15-per-cent foreign-buyers tax in the Greater Golden Horseshoe region in April, average Greater Toronto Area home prices tumbled by more than 20 per cent from April to August. Like Vancouver, Toronto has seen an uneven experience unfold for the detached house market and the condo sector. In October, detached houses in the GTA sold for an average of $1,008,207, down 16 per cent from April's peak and a decline of 2.5 per cent compared with October last year. The condo sector, however, has emerged almost unscathed from the downturn, with the average sale price of $523,041 in October down just 3 per cent from April's peak and up 22 per cent compared with the same month last year. The detached-house market has also yet to clearly stabilize. Average detached-home prices in October were down 0.7 per cent compared with September, while average condo prices have climbed each month since bottoming in July, making the condo market the main driver of overall price growth in the region. Royal LePage real estate agent Shawn Zigelstein, who is based in Richmond Hill, north of Toronto, said there is an "absolute ton" of detached housing sitting unsold in his region, some listed for many months without a sale. While prices would normally fall sharply in such a situation, he said too many sellers are unwilling to compromise and are waiting for the offer they want rather than lowering their selling price. Meanwhile, many buyers can't afford a $1-million detached home, and are instead turning to condos or townhouses. "The product that is still moving fairly quickly are the condos down in the city," he said. "We're not seeing a rush on higher-priced product because affordability drops." Mr. Zigelstein isn't anticipating a quick recovery for the detached-home sector in his region, saying he isn't confident things will change by the end of the year. "When we get November's numbers, I'm not sure if they will be up from October – I think they will be a little bit down." The uneven market came as a surprise to real estate agent John Pasalis, president of Realosophy Realty Inc. in Toronto's Leslieville neighbourhood. Prior to April, there was ravenous demand for detached homes and prices were soaring as buyers complained about a lack of supply and waged fierce bidding wars. But demand has cooled considerably since, even though prices have fallen, leading to a "disconnect" that seemed to defy explanation. Mr. Pasalis believes the market is still unsustainably expensive and buyers remain nervous. He estimates half of his clients who are shopping for a house have decided to wait until at least January, believing the market may drop further in 2018 after new stress-test rules are introduced. "It's not that there aren't buyers out there – there are tons of people who want to buy a home," Mr. Pasalis said. "But many of them are hitting pause because they're worried about the measures in January and what impact they're going to have on the housing market." Royal Bank of Canada economist Robert Hogue said the growing divide between the booming demand for condos and the comparatively weaker demand in the detached-house sector is the result of "affordability stress," with more buyers in both Vancouver and Toronto hitting a point where they cannot afford detached houses. In Greater Vancouver in October, the price averaged $1,803,162 for detached houses and $687,053 for condos. Despite the price rally in the condo market, the regional price gap between detached properties and condos grew to $1,116,109 last month, compared with a difference of $1,036,576 in October, 2016. "At the end of the day, lack of affordability is not cooling demand over all, but it is changing the composition of the demand," Mr. Hogue said. "The single detached homes are extremely expensive – these are the high end of the market." Mr. Hogue also believes the divide in demand is going to continue and grow more pronounced. With interest rates expected to rise further next year and mortgage stress-test rules becoming tougher in January, detached houses will be even more unattainable for many buyers. "It doesn't mean people won't be able to have a mortgage at all, it's just that they will qualify for less, which means they are going to continue to gravitate towards the lower price points," he said. The result has left many predicting lower home sales for both Vancouver and Toronto in 2018, attributable in part to slowing demand for detached houses. For British Columbia, Mr. Hogue predicts the total number of homes sold will fall by 8 per cent in 2018, while prices will rise 5 per cent over 2017. Sales in Ontario are expected to drop 4.6 per cent in 2018 and prices are forecast to be virtually flat, up just 1 per cent. He also anticipates sales in the second half of 2018 could be even weaker than the first half of the year based on RBC's forecast that the Bank of Canada's overnight rate will rise by a full percentage point over the course of 2018, doubling to 2 per cent from 1 per cent currently. Five-year bond yields, which help determine mortgage rates, are forecast to reach 2.7 per cent by the end of 2018, or roughly 160 basis points higher than at the beginning of 2017, representing the biggest increase in rates over a two-year period since 1995. After 15 years of low interest rates fuelling Canada's housing market, Mr. Hogue said rising rates will change the landscape for buyers in cities across Canada, but particularly in Vancouver and Toronto because affordability is already stretched in the two markets. "Those markets have become very sensitive to interest rate increases," he said. Back at the rundown bungalow in Vancouver's Point Grey neighbourhood, one surprise in the list price of $3,070,000 is the lack of the number eight. Eight is deemed lucky in Chinese culture, notably for recent arrivals from China, and the number is a common sight in Vancouver in real estate pricing for listings and sales. The Point Grey property sold for $2.88-million in February, 2016, when the rally still had several months to run before the B.C. government introduced the foreign-buyers tax. The bungalow's list price at 4213 West 14th Avenue on Nov. 2 happens to be close to the average price of detached houses sold in October within the City of Vancouver – $3,080,633. "We welcome all buyers from different regions, both local and overseas, as long as the transaction is legal and qualified," said Danielle Lu, the listing agent for the bungalow, which was built in 1912. "If the buyers think the number eight will bring them the luck, the buyers should try the offer with eights." During the peak of Vancouver's real estate boom in mid-2016, a listing for a Point Grey starter home would have lured offers above the asking price. Today, it is questionable whether the teardown will attract an offer close to the asking price. A similar lot nearby sold for $2.6-million, while another fetched slightly less than $3-million. In any case, Vancouver's detached-housing sector is still expensive and prices for condos and townhouses have surged to record highs. British Columbia's NDP government has been billing its upcoming February budget as crucial for helping tackle Vancouver's housing crisis, and that could mean new measures intended to further reduce the influence of foreign buyers and discourage speculation. Josh Gordon, assistant professor at Simon Fraser University's School of Public Policy, said foreign buyers are still playing an influential role in the market. In the Vancouver region, foreign purchasers accounted for 5 per cent of the total number of residential transactions in September and 3.1 per cent in October. In the suburb of Richmond, the figures were 10.8 per cent in September and 6.9 per cent in October. "Five-per-cent foreign buying is still going to have a substantial impact on the market. And there is a great deal of foreign money that is not well captured by that figure. There are many other ways to get foreign money into the real estate market that don't come through official channels, in terms of presale construction, through loans to proxies or family members and so on," Prof. Gordon said. He points out that despite robust levels of housing starts and places under construction in recent years, prices have continued to rise. The Vancouver market downturn lasted for six months after the foreign-buyers tax in August, 2016, before the rebound began in early 2017. It is common to see teardowns selling for $2.5-million to $3-million on the city's west side – such as Point Grey – and $1.2-million to $1.3-million on the east side, depending on factors such as whether the property is on a busy street. People have become desensitized to feeling shock from witnessing sky-high prices, having gone through the frenetic pace in the first half of 2016. A teardown on Vancouver's west side that made national headlines for its list price of $2.4-million ended up selling in February, 2016, for $2.48-million after only eight days on the market. That's $82,000 above the asking price, but $482,100 less than the assessed value of $2,962,100 on July 1, 2016, when the housing insanity was in full flight before the foreign-buyers tax was implemented. The developer recently demolished the house and fenced off the vacant lot, which in turn is cordoned off from car traffic because a sewer-upgrade project has left large holes on the residential street and created cracks on the asphalt. It is apt imagery – cracks forming in Vancouver's housing market. Real estate agent Jane Heathcote recalls the frenzied activity in July, 2016. She listed a property in Dunbar neighbourhood, near Point Grey, for $4.5-million on July 8, 2016. She managed to find a buyer only nine days later on July 17, selling for $5.25-million amid a bidding war. But the BC Liberals led by then-premier Christy Clark surprised the real estate industry by announcing the foreign-buyers tax on July 25, to take effect on Aug. 2, based on registrations at land title offices. The buyer jumped on a plane from China to speed up the transaction, registering with land titles on July 29, thereby avoiding the the new tax, Ms. Heathcote said. The same property – with a six-bedroom house built in 1952 on lot measuring 52.5 feet wide by 130 feet in depth – would attract a far lower bid today. Given the 15-per-cent foreign-buyers tax, many purchasers from offshore now insist on a discount of at least 15 per cent from the list price, industry observers say. Listings such as the bungalow asking $3,070,000 are on lots that typically measure 33 feet wide by about 122 feet in depth. Those skinnier lots are lower priced, and have not been affected as much by the slowdown in sales as pricier lots that are at least 50 feet wide. In the market for the 50-foot-wide detached properties, the sales slump has been noticeable, especially on the west side for new houses on those wider lots, experts say. Over in the District of North Vancouver, business executive Charles Andersen is asking for $36.2-million for a 14-acre parcel that includes a large house built in 1987. The assessed value of his property is $11.53-million. One buyer could emerge to preserve the scenic property as a grand estate or the land might end up going to a developer that would help ease the region's housing crunch, said Steve Mitchell, the listing agent with Sotheby's International Realty Canada. Vacant land at 4453 West 14th Avenue is pictured in Vancouver on Nov. 22, 2017. While vacant land ripe for development is scarce in the region, it is difficult to determine what a buyer would be willing to pay for land that holds the potential of being suitable for multifamily units. "It's not like Alberta where you can build 450 new houses on the outskirts. You can't easily do that in Metro Vancouver. We're boxed in by the ocean and mountains," Mr. Mitchell said. "If we don't develop the land that we do have, who's going to be able to live here? The way things have gone, it's not an option for young people to buy." Anne McMullin, president of the Urban Development Institute's Pacific region, said greater attention needs to be paid to the supply side of the housing equation. "If we reduce supply, prices go way up," Ms. McMullin said. "With the limited housing that we have available, the pressure is on every touch point. People who could maybe afford a three-bedroom condo before are now competing for the one-bedroom instead. We also need to address homelessness and the rental crisis. It's housing supply and demand, and the lack of transportation infrastructure. We need to tackle the issues comprehensively." 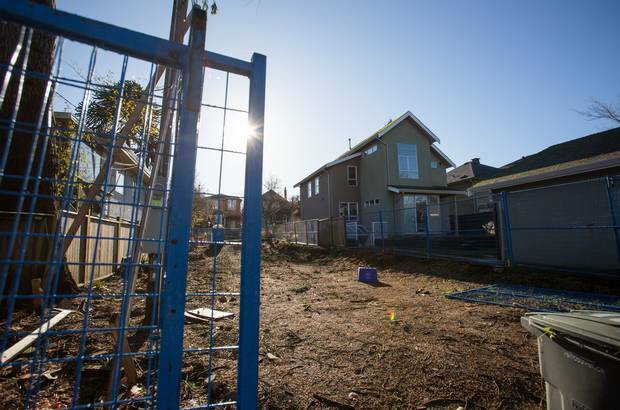 Earlier this year, the City of Vancouver introduced a yearly empty-homes tax, amounting to 1 per cent of a property's annual assessed value, with payment due in 2018. The housing challenges on the West Coast are being keenly monitored in the Toronto region, which experienced its own spike in prices in late 2016 and earlier this year. 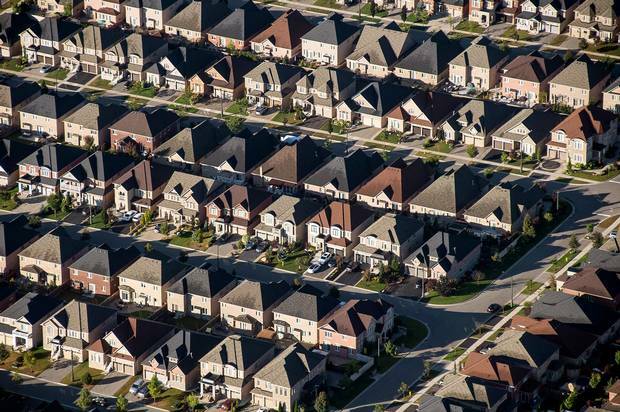 Urban planner Andy Yan, director of Simon Fraser University's City Program, said the turmoil is most acute in Canada's two most expensive markets because affordability is strained, leaving Vancouver and Toronto the most vulnerable to economic shocks. The average price of detached houses sold last month on Vancouver's west side exceeded $4.46-million. On the less-expensive east side, the average price of detached properties reached $1,683,182 in October. The formerly blue-collar east side is now more expensive than detached houses within the City of Toronto, where the price last month averaged $1,287,765. Mr. Yan said gauging housing markets is a tricky task because luxury sales often skew average prices upward, while disruptive forces, such as property flipping, linger. "You still have behaviours that use housing as an investment vehicle as opposed to a human need," he said. Home prices in Vancouver and Toronto have climbed much faster than the growth in local incomes, especially in recent years. "Real estate prices in the City of Vancouver are way higher than in the City of Toronto. But a lot of people in both cities with local incomes have surrendered to the fact they won't own detached houses and they're going after attached homes," Mr. Yan said.